Today i bring you two girls. This is Kate - a huge fan of sport (she's training MMA herself). She met Michelle during university and since then they're friends and living together. Kate is confident and easy to approach. She decided to leave her hometown and become famous. At any cost. Now this is Michelle. Michelle is nothing like Kate. During her childhood she was moving out frequently with her family which caused no possibility to find a friend. Once she became a teenager her mother decided to stay in Strangetown. She's always been socially awkward due to her shyness. She's enjoying science and nature. Especially she's obsessed with oceans which always have been a mystery. They both met by an accident in one of the classes they took in Uni. That's when Michelle has felt like she found a true friend. As Kate was helping out michelle to get through the socially awkward situations Michelle was helping Kate with chemistry and maths. 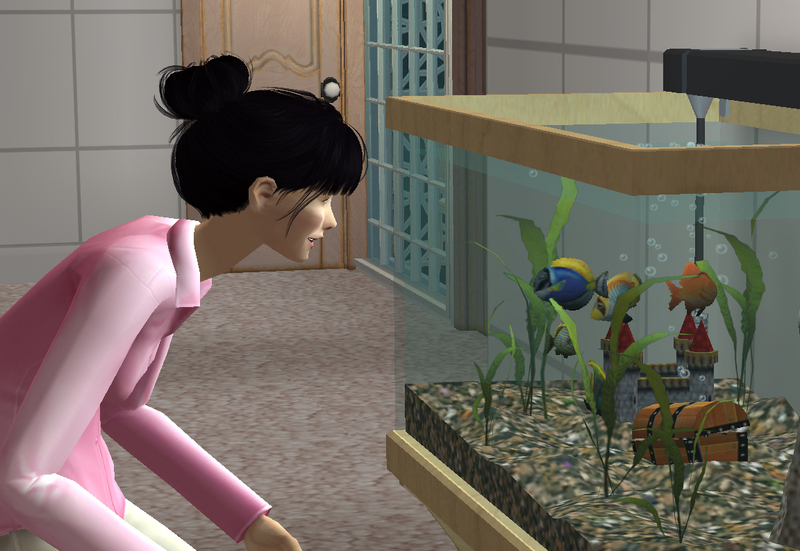 After four years spent on helping each other they decided to live together, How can that end up? Will they stay still or split after some argue? Enjoy and be nice to them! Simpu - for leting me use the skin which she has created.